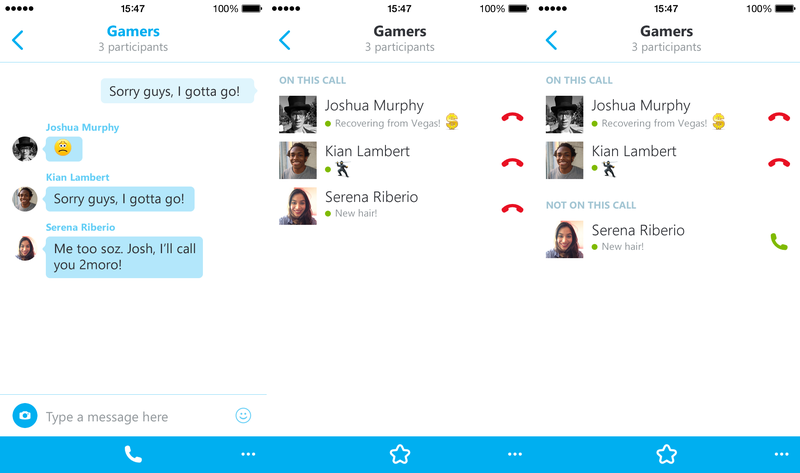 Skype today updated its iPhone app with calling features and accessibility improvements. You can download the new version now directly from Apple’s App Store. Once you’re in a group audio call, the number of participants will be displayed in the top bar. You can tap the navigation bar to see the active participants on the call as well as any contacts that are in the group but not on the call. As the host, you can also selectively take people off the call without ending it. Skype also offers an iPad app, but it didn’t get the same treatment today (both gained the ability to join group audio calls in September 2013). We would say if you’re going to add new calling features, it makes sense to do so for phones rather than tablets first, though it’s unclear why the Microsoft-owned company didn’t simply update both apps.